Size of this preview: 800 × 533 pixels. Other resolution: 1,200 × 800 pixels. 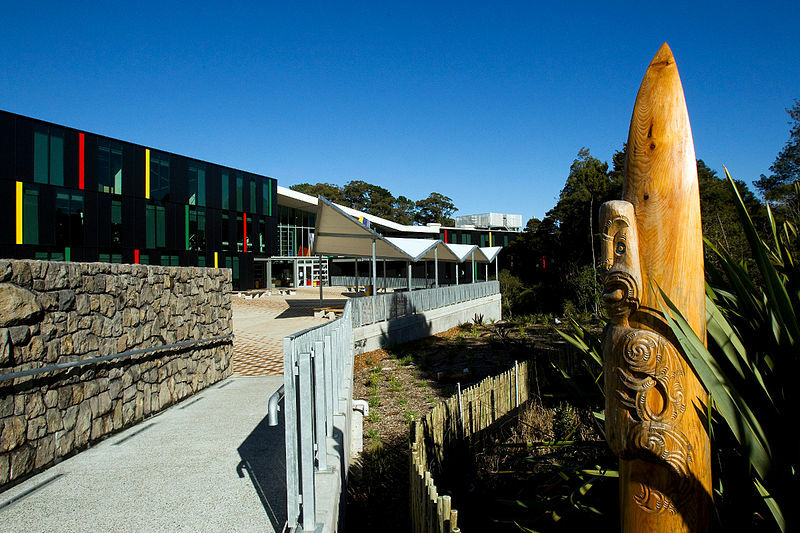 English: Plaza and pou whenua carving at Albany Senior High School, New Zealand.